The Pencil Sketch Effect for After Effects allows users to effortlessly turn their video footage into an animated pencil drawing. Watch the Demo Video for Pencil Sketch Effect. 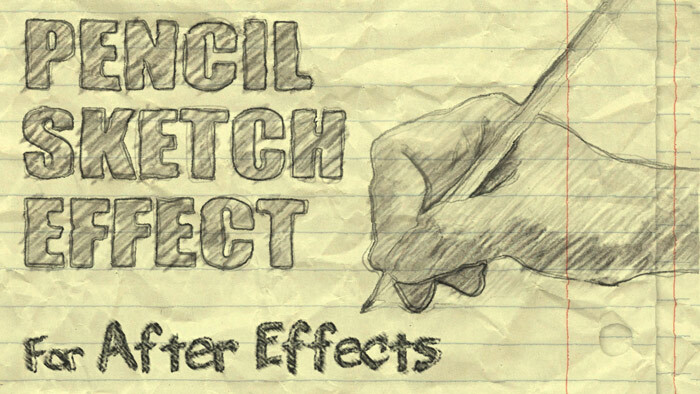 This Pencil Sketch Effect allows you to convert your video footage into an animated pencil drawing in After Effects. Included are 11 pencil drawing presets, covering multiple styles and mediums such as colored pencil, charcoal, rough sketch, photorealism, line drawing, and doodle. Just drop in your footage and export any of the presets as they are. Or… use the slider controls to customize the look of each drawing.